The Testo appliance sampling probes enable the investigation of fumes/products of combustion from appliances such as cookers, grills, flueless appliances, etc as described in BS7967. Each of the probes which can be fitted directly to the Testo flue gas analyser via the main connection socket using the supplied connector and tubing (see note regarding Testo 310). Note: The Testo 310 flue gas analyser has a permanently attached flue probe. 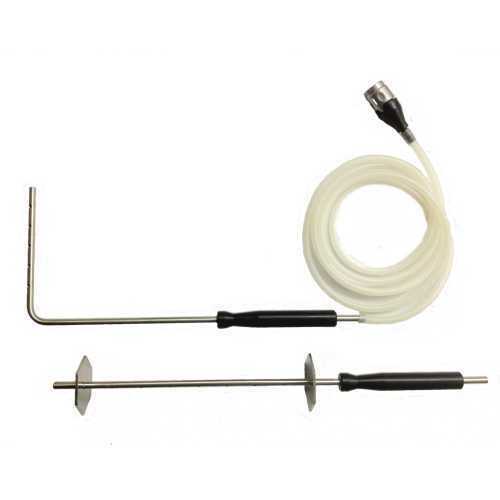 To use the CO sampling probes with the 310 push the tubing directly over the end of the flue probe shaft making sure the thermcouple slot is completely covered (the supplied connector is not required).